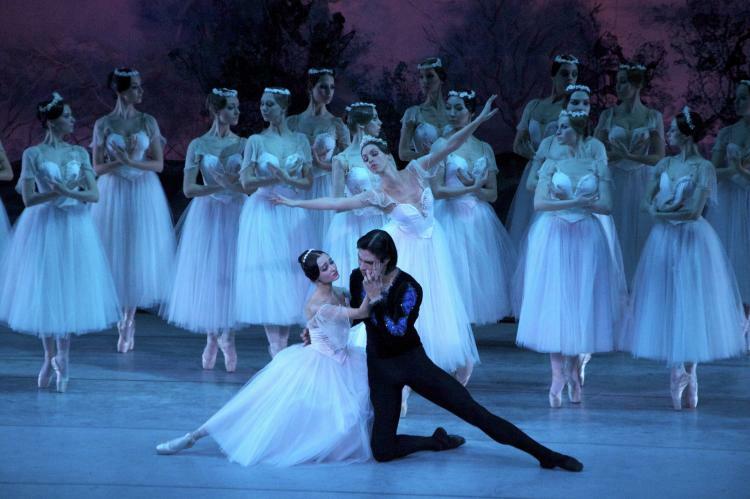 The Russian National Ballet presents the haunting Romantic-era ballet “Giselle,” a tale of love, betrayal, forgiveness and redemption. A heartbroken peasant girl dies after discovering her lover is betrothed to another. When she is summoned from her grave by the vengeful female spirits who haunt the forest, she must fight to save her beloved from his fate. Tickets are $40 for adults and $36 for youth under 18. For more information please visit CES’s webpage at ces.frostburg.edu or contact the CES box office at 1-866-849-9237 or 301-687-3137. This performance is sponsored by Dr. Julianne Ferris and Mr. Daniel F. McMullen, Jr. The Cultural Events Series is supported in part by a grant from the Maryland State Arts Council. On the web at msac.org. CES is sponsored in part by the City of Frostburg.